Structurize folders and organize clips in this area. Folders can be created and structurized from the [root] folder, and the entire folder in which the sources are stored on a PC can be registered to the bin. 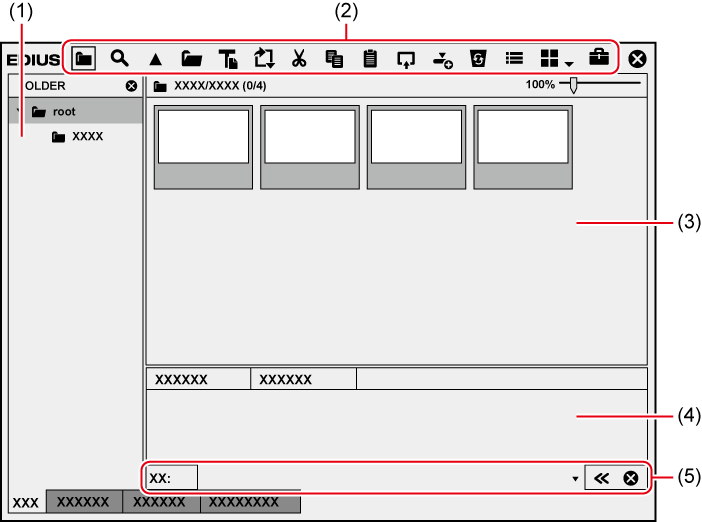 Perform operations in the bin window such as registering or copying sources and creating clips.